When Mario Batali was asked his favorite food city, he responded, “New Orleans, hands down.” No city has as many signature dishes, from gumbo and beignets to pralines and po' boys, from muffuletta and Oysters Rockefeller to king cake and red beans and rice (every Monday night), all of which draw nearly 9 million hungry tourists to the city each year. 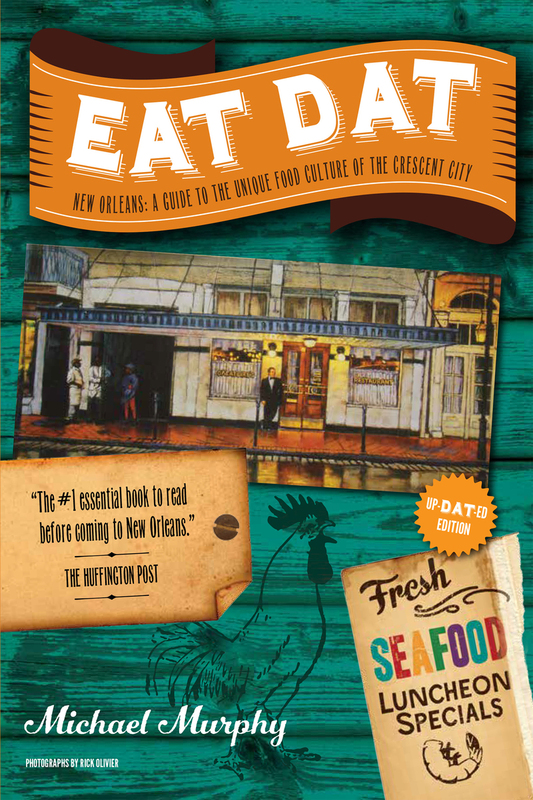 In this fully revised and updated new edition, Eat Dat New Orleans celebrates both New Orleans’s food and its people. It highlights nearly 250 eating spots—sno-cone stands and food carts as well as famous restaurants—and spins tales of the city’s food lore, such as the controversial history of gumbo and the Shakespearean drama of restaurateur Owen Brennan and his heirs. Both first-time visitors and seasoned travelers will be helped by a series of appendices that list restaurants by cuisine, culinary classes and tours, food festivals, and indispensable “best of” lists chosen by an A-list of the city’s food writers and media personalities, including Poppy Tooker, Lolis Eric Elie, Ian McNulty, Sara Roahen, Marcelle Bienvenu, Amy C. Sins, and Liz Williams.